You must be familiar with apps like TeamViewer, AnyDesk, and InkWire that give you remote access to one PC from another PC or smartphone. 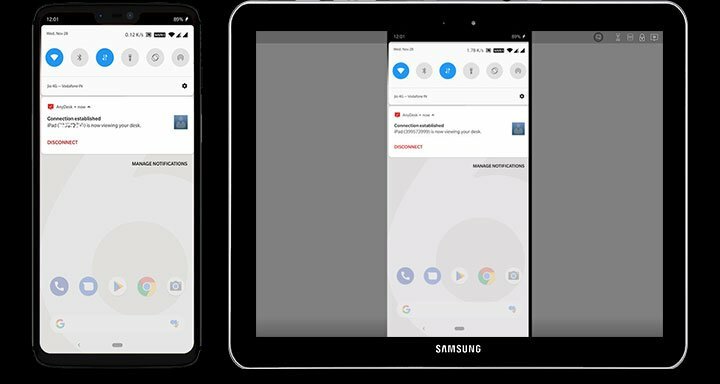 What if you want to remotely control or access an Android device from another Android device or PC? 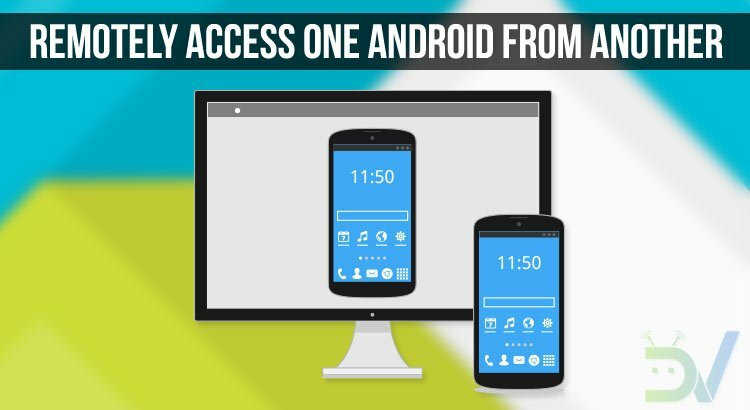 Well, Android to Android remote access is possible too, and here is how. Controlling a computer remotely via another computer isn’t a concept that’s very new. Similar things have been available on computers for over a decade. Controlling your desktop PC or Mac from a mobile device though is something that only was made possible after the smartphone revolution. Most, if not all of the remote desktop solutions make use of an active internet connection to stream your desktop onto your mobile device screen. This mobile device can be a tablet, laptop, smartphone, etc. This results in a significant lag, which can be more pronounced if you have a slow internet connection. AnyDesk remote PC/Mac control is one such solution to your remote desktop needs. As a bonus, it also lets you remotely access Android device from another Android. That’s quite a bold claim but does AnyDesk actually deliver? 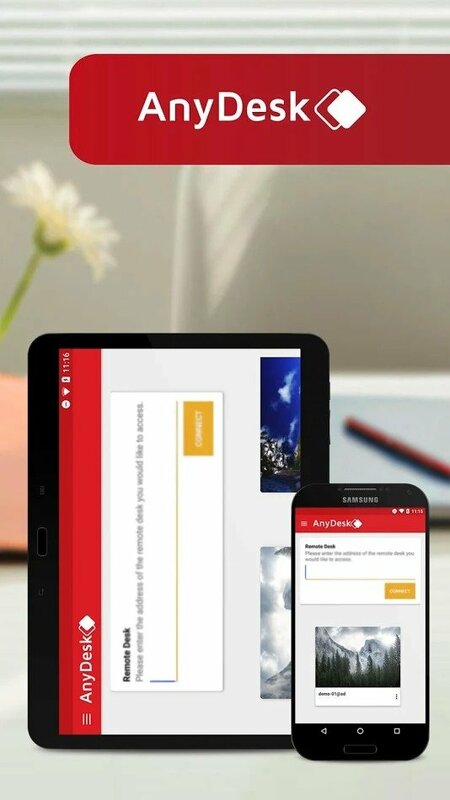 At anydesk.com you will find further information on remote access and remote maintenance, directly from your smartphone or tablet and for all platforms: Windows, macOS, Linux, Android, and iOS. Secure: Remote computer control and maintenance using AnyDesk is as secure as online banking, thanks to TLS 1.2 encryption, 2048-bit RSA Key Exchange and Erlang technology. 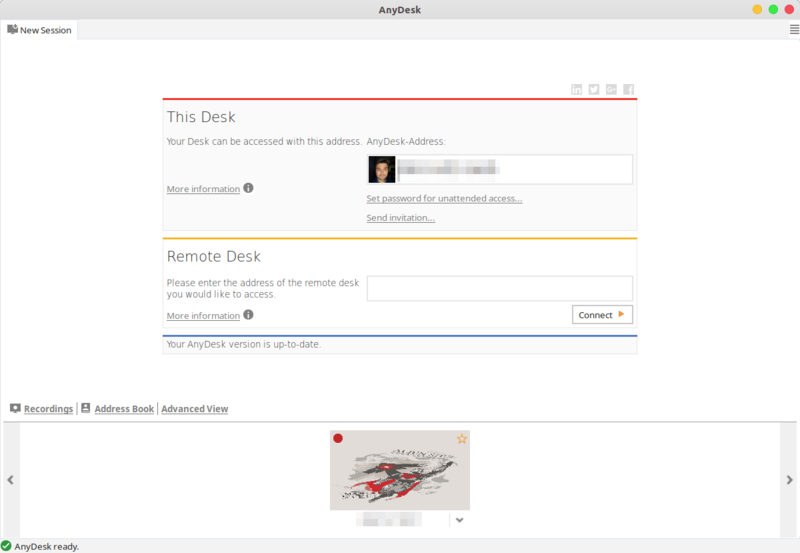 AnyDesk is available for all the three major desktop operating systems, which are Windows, Mac, and Linux as well as FreeBSD and Raspberry Pi. You can find a version suitable for your device on the AnyDesk website. The website automatically detects your operating system platform and provides a download link to the AnyDesk app for the specific OS. Just click on the Download button and then install the file. Using AnyDesk is a lot simpler than some of the other similar apps I’ve tried. When you launch the app on your desktop, you should see its AnyDesk-Address. It is just a bunch of unique numbers. Below that, you’ll see an empty field where you can enter the AnyDesk-Address of another device (computer, smartphone, tablet, etc.). You’ll see similar things on the Android app as well. You may have to grant certain permissions to the app before you can use it fully. The Android app also allows a few default settings to be modified such as the display quality and input methods. On the device that you want to remotely access the other device, enter the other device’s AnyDesk address to create a remote connection. 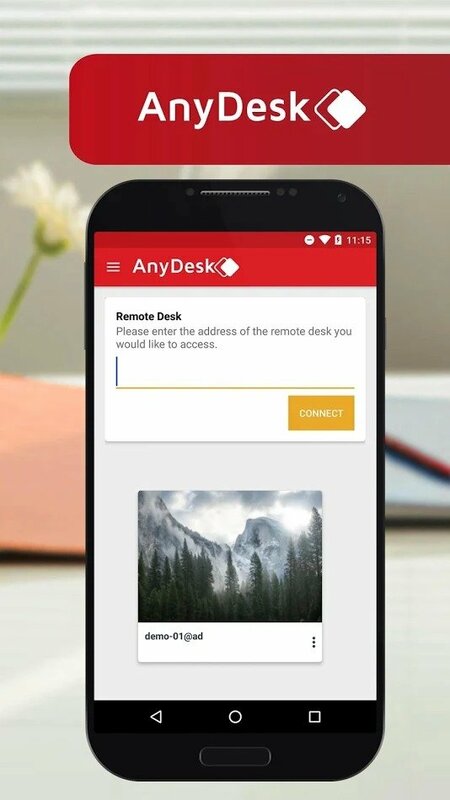 For instance, to remotely access your desktop from your Android smartphone, enter the AnyDesk address shown in the AnyDesk app on the desktop inside the AnyDesk Android app. 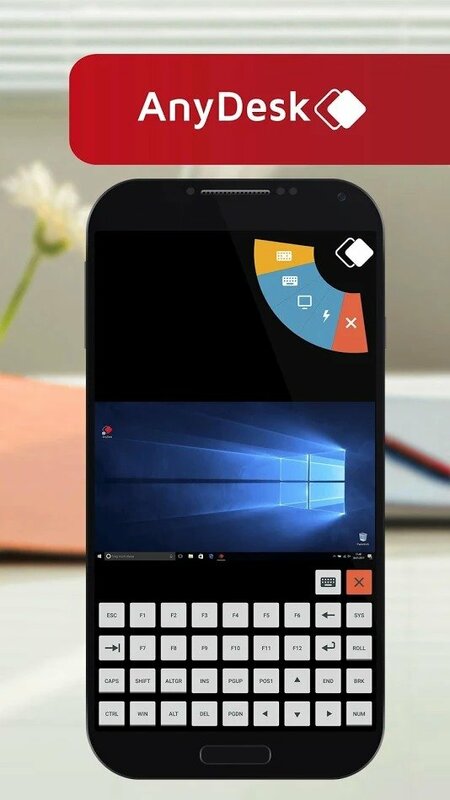 You should then be able to see your desktop on your phone’s screen. Of course, you can easily control it as well. Some extra options and controls are hidden in a floating button which opens up a pie menu. You can touch an element to simulate clicking on it and swipe to scroll. 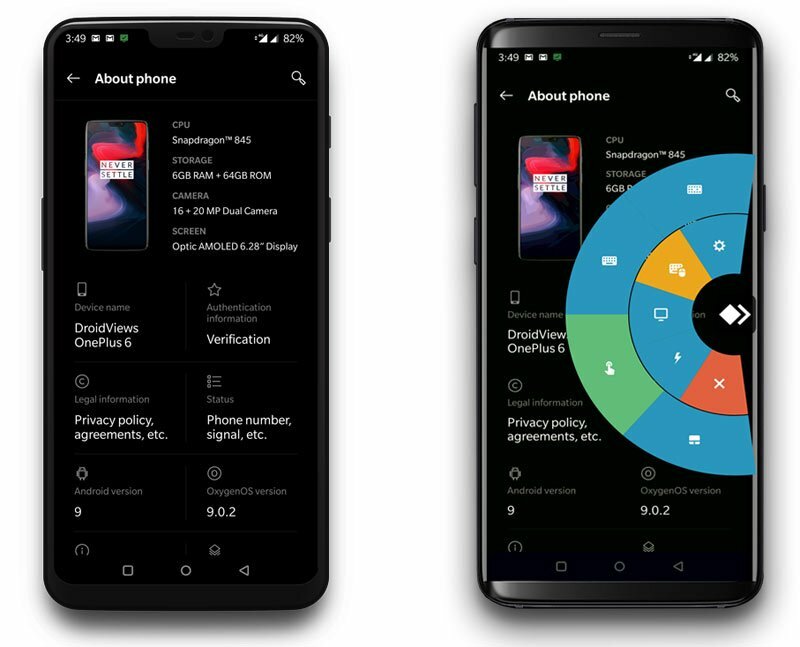 Besides AnyDesk, there are numerous other apps and tools that can help you with controlling an Android device from another Android or PC. You can use TeamViewer, InkWire, or AirDroid and AirMirror duo apps. When it comes to ease of use, InkWire comes next only to AnyDesk. Read next: Do Dark Themes and Black Wallpapers Save Battery?